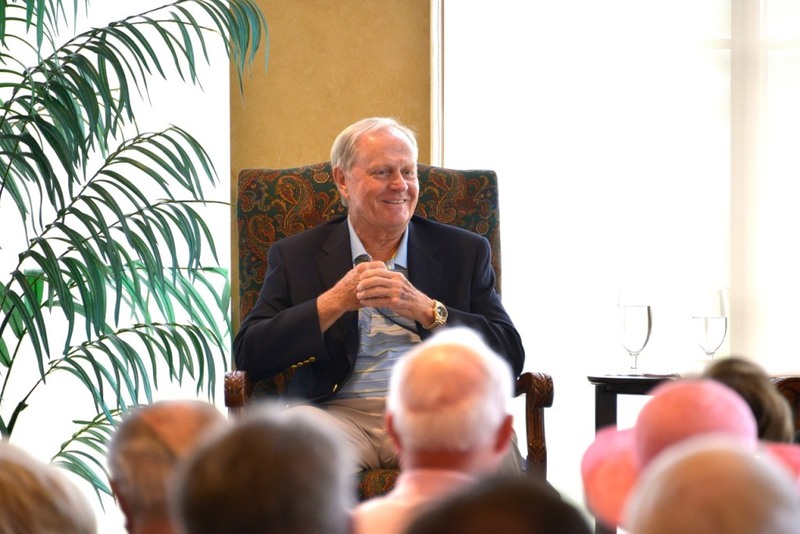 Jack Nicklaus meets the members of the Royal Palms Yacht & Country Club during his recent visit to the Club. Members of Royal Palm Yacht & Country Club enthusiastically embraced the future at a recent Special Meeting of the Members, as Commodore Dr. Patricia Reese announced the overwhelming Member approval of the enhancement project for the Club. With an approval of nearly 80 percent of the eligible voting members of the Club, the $30 million project, set to begin this summer, includes a new Yacht Club clubhouse and new docks in the Marina. The original 1959 building no longer meets the needs of the changing Membership at Royal Palm. In response to those trends, the project also includes an expansive outdoor waterfront entertainment patio, new pool and additional outdoor dining venues. Once complete, further enhancements will be made to the locker room facilities at the Country Club building, built in 2003. The yacht basin will also undergo significant improvements with a new Marina, including a floating dock system, accommodating vessels up to 130 feet in length. In May, the Club’s golf course closed for a major re-grassing project, scheduled to reopen in November. Jack Nicklaus and his Nicklaus Design team visited the Signature Golf Course over the summer to consult on the renovation. The team’s consulting agronomist, Jon Scott, recommended the use of Tiff Eagle for the greens and Celebration Bermuda for the rest of the course. The Club’s Greens and Grounds Committee moved forward with the selection of these grasses. “We are eager to see how these changes will improve an already exceptional design by Mr. Nicklaus and his team,” Head Golf Professional Andy McMechan said of transitioning to the new grasses, the bunker and putting green work, and landscape enhancements. Royal Palm Yacht & Country Club has been a cornerstone of east Boca Raton since it was first developed by Arvida in 1959, as one of the first planned communities. The club and community, while separate entities, have enjoyed being great neighbors for many years. Arthur Vining Davis had the course originally designed by Robert Trent Jones and hired Sam Snead as the Club’s first golf pro. Redesigned by Joe Lee in the mid-’80s, the course was reborn in 2003 as a Jack Nicklaus Signature Golf Course.